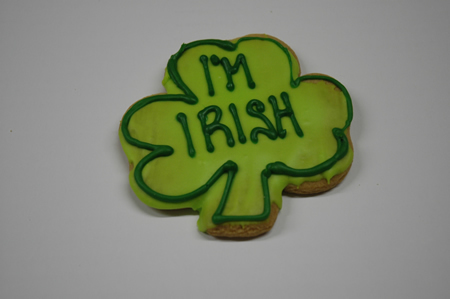 Check out the special treats we make and bake special for each and every Holiday. These items are available by order most holidays. Available anytime by order only or in the store during the week before any major holiday. Old-Fashioned, Crumb topped bread that is baked in a loaf pan. This buttery, sweet dense dough is available with Golden Raisins or plain. A Polish Favorite. (If not around a major holiday, the minimum order is 5 loaves. This is an extremely involved process. In the weeks leading up to a holiday, single loaves may be ordered.) $14.99 per loaf. BRAIDED, long loaf. Made from sweet dough. Available with Golden Raisins, Plain or with nuts, starting at $6.99 per loaf. ROUND, ball like sweet dough bread. Available with Golden Raisins or Plain, starting at $5.99 per loaf. 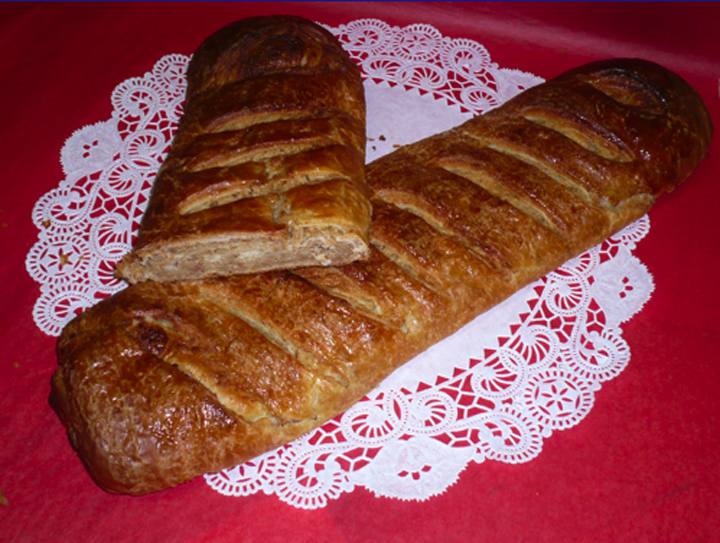 Long, loaf sweet bread, filled with candied fruit and/or raisins. Icing on top available upon request. Handmade flakey-layered butter dough with nuts roasted on site and/or freshly ground poppyseed. Same flakey-butter dough filled with creamy baker’s cheese. Can be topped with fruit of choice. 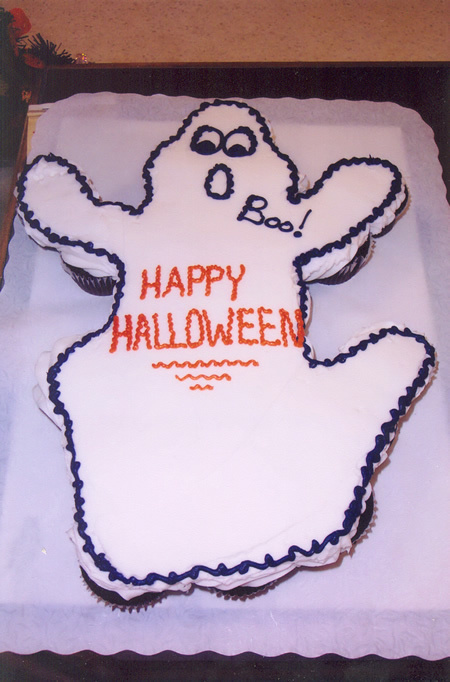 Scary and fun decorated cookies (see cookie page), decorated cakes (see cake page) and other yummy goodies. 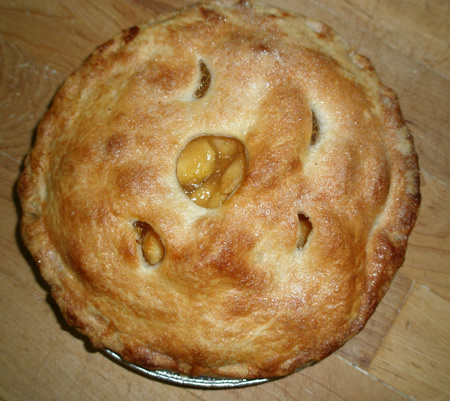 Homemade Selection of Pies (list below). Pumpkin Rolls, Pumpkin Spice Fry Cakes, Dinner Rolls, Breads and anything else you need to make Thanksgiving dinner complete. Pumpkin: There is no beating our homemade blend of spices and smooth pumpkin. 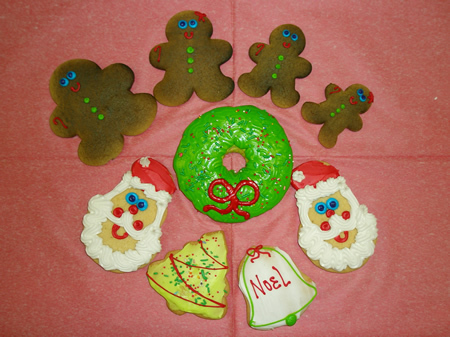 Fill your little elves tummies with delicious Christmas Cookies. Buttery drop cookies, Chocolate cookies and gingerbread all topped with an assortment of colored sugars, sprinkles, cherries, nuts and icings. Buy them by the pound in the store or pick-up one of our beautiful cookie trays. Cookies are arranged on decorative plates and/or trays, wrapped in clear cellophane and then topped with ribbons and bows. 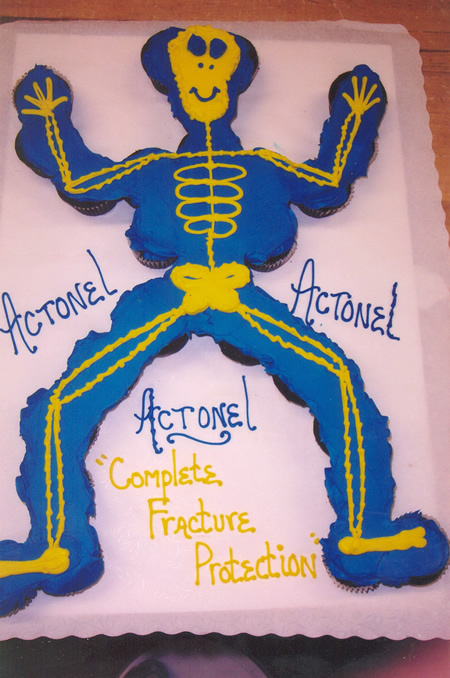 A favorite of corporate customers for their clients. Order form link on home page. Online ordering available up until 10 days before Paczki Day. 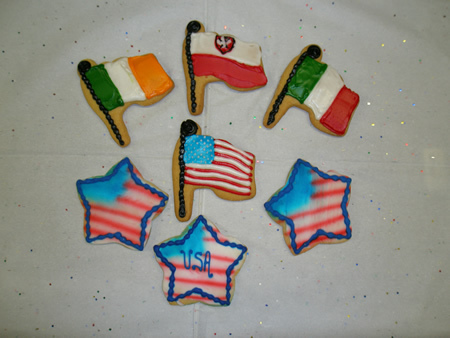 These traditional Polish donuts are available everyday in our store. 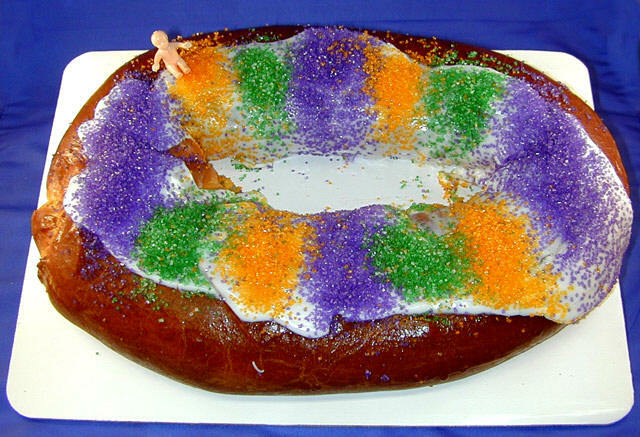 During the Lenten Season, before Fat Tuesday and the last day of Mardi Gras, we make over 19 different flavors. All other times of year, you can find the ** flavors. 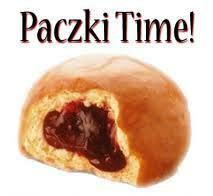 For Paczki Day or any day you are making a special trip to the store...PLEASE ORDER the flavors you want. We can not guarantee that every flavor will be in the window when you stop in. We work very hard and through the night to make your PACZKI....see our facebook page for pictures of the PACZKI being made. WE REALLY MAKE THEM! Please be sure to read the online order form completely (located on homepage after Feb. 10, 2019) for full details regarding the ordering process and pricing. Marshmallow Meringue.....and Whatever else we dream up! Image below of Raw Poppyseed Paczki before they are folded and fried. Nut and Poppyseed paczki are fried with the filling inside. The large ball of filling flattens out during the cooking process. Please do not yell at us that there is "no filling" in these Paczki... Here is the proof. Treat yourself or your sweetie to Chocolate Covered Strawberries, personalized decorated heart cookies and the ever popular mini-cake, perfect for 2. Fill your Blessing Basket with delicious goodies from Stan’s. 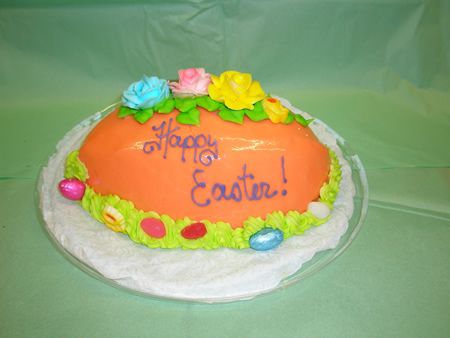 Gorgeous Egg-shaped cake iced in fluffy buttercream and poured in pastel smooth fondant or dark luscious fudge. 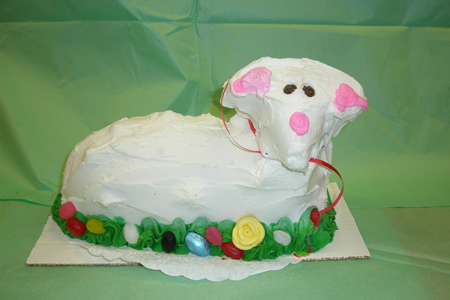 Decorated with flowers and Happy Easter greeting. Same delicious cake choices in a mini single serving portion. Traditional Sweet Dough Balls with Raisins topped with an icing cross. 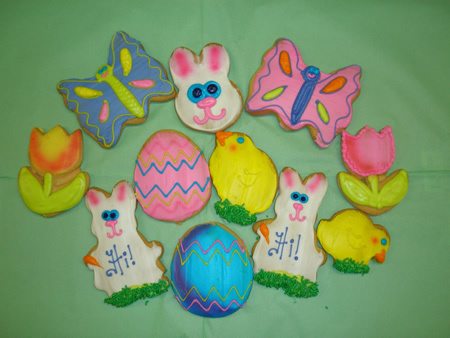 Hand molded butters in Easter shapes. Make a great table decoration you can eat. Complete with pepper corn eyes and a ribbon neck tie. 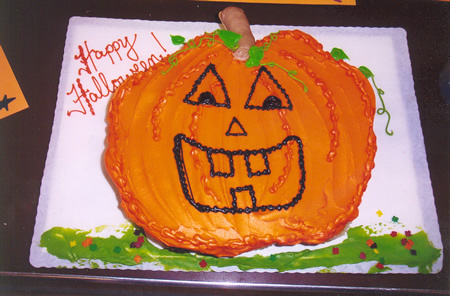 Copy written images can not be reproduced on a cake without permission from Copyright Holder.